(n.) Sometimes compared to the Japanese ‘Oni’, a troll is a supernatural creature of Scandinavian folklore, whose race was thought to have carried massive stones into the countryside. Lives in hills, mountains, caves, or under bridges. They are stupid, large, brutish, hairy, long-nosed, and bug-eyed, and may also have multiple heads or horns. Trolls love to eat people, especially small children. (n.) An ugly little plastic doll with big hair. (v.) To fish by dragging bait behind a moving motor-boat. Based on the final definition, I would like to propose that Pierre de Fermat pulled off the greatest troll in mathematical history (possibly unintentionally). 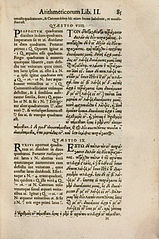 Problem II.8 in the 1621 edition of the Arithmetica of Diophantus. On the right is the margin that was too small to contain Fermat’s alleged proof of his “last theorem”. An incredibly poignant theorem, but he just didn’t have space to write out it’s proof. Fermat later proved FLT for the specific cases n=4, but left his too-wide-for-the-margin proof unwritten. For the next 358 years mathematicians worked night and day to figure out exactly what couldn’t fit in that little margin. to fit in the right or left marg-. Now Wiles didn’t mind paper waste. and he crossed out instead of erased. Cohen takes the point of view that Fermat was conscious of his choice to never write down his proof. This raises the question – did Fermat actually have a feasible proof? If he didn’t, was he planning on upsetting the mathematical community for 400 years? Let’s look a little deeper. Fermat’s note first appeared in a collection of his edited works that was published by his son Samuel in 1670. This wasn’t the only time that Fermat claimed to have a proof, but didn’t have the time or paper or something to write it out. More than a century later, mathematicians like Euler had to reconstruct proofs for many of Fermat’s theorems. One way to address his note is to claim that Fermat’s comment was simply a private note that he never intended to publish. Simply a little “Hey self, write this awesome, brilliant proof down later. You didn’t write it now because you had no paper. Love, me”. This wouldn’t really make sense. In his day and age it was pretty normal to write and publish commentaries on ancient works. The publishers intentionally left large margins in such works so that modern commentators could write their comments and show their contemporaries how much smarter they were than their forefathers. Basically, we can be pretty confident that Fermat was at least considering that his work would be published. When I was researching this subject, I came to the realization that this story could have ended differently. Fermat didn’t publish a lot of his work. What if he had decided to publish his commentary on the Diophantus after all? What if he decided to publish his commentary after he had worked out the proof for n=4 and then decided that he didn’t have a proof for the theorem after all? What if he had edited out his comment? We wouldn’t have Fermat’s Last Theorem. He wouldn’t have sent mathematicians on a blind-leading-the-blind hunt in the forest. Wiles may have never had a reason to devote his life to proving FLT. Essentially, it was fortunate for the development of number theory that Fermat wasn’t prone to editing his papers. Or did he intentionally avoid editing so as to troll future generations — make them think he had all these brilliant ideas and proofs, but end up just making them work and argue down (what he thought) was a rabbit hole? Sir Andrew Wiles. Image copyright C. J. Mozzochi, Princeton N.J.
Wiles’s proof involves mathematics that wasn’t invented or discovered (that’s the topic of an entirely different blog post) until centuries after his death. The mathematical historian Howard Eves once said that “Fermat’s Last Theorem has the peculiar distinction of being the mathematical problem for which the greatest number of incorrect proofs have been published.” Did Fermat use his version of an online forum to post his version of a troll? Or did he genuinely believe he had a solution that would have been proved incorrect? Or did he actually have a brilliant proof that doesn’t use any of Wiles’s modern math? We will never know, but I think the image of Fermat as the first comment troll is the most fun. This entry was posted in Numbers and tagged Fermat's Last Theorem, Number Theory on April 26, 2015 by spkofford. The movie we watched in class about Andrew Wiles and the eventual proof of Fermat’s Last Theorem inspired me to dig deeper into the previous trials and failures at solving this problem. As shown in the video, a passionate mathematician named Andrew Wiles solved the theorem 1995. But where did it start, and who failed in the attempts to prove of this simple problem? The theorem had the reputation of being unsolvable as many of math’s greatest mathematicians tried their hand at finding a proof. In fact it is called Fermat’s Last Theorem because it was the last of his theorems to not be proven or disproven. While Fermat says that he proved it, it has been for the most part speculated as being incorrect. This problem was unsolved for three centuries, spanning across some of the greatest mathematical minds we have ever had on earth ranging from Euler, Legendre, Gauss, Abel, Germain to Dirichlet, Kummer and Cauchy. While people have been able to make generic proofs about certain numbers like n = 3, n = 4, and n = 5; none of the great mathematicians could find a general proof of the theorem. The first big step in the right direction of a general proof came from female French mathematician Sophie Germain in 1819. In a letter to Carl Friedrich Gauss, a German mathematician, she explained her grand plan to formulate a proof for the theorem. Her goal was to prove that for each odd prime exponent p, there are an infinite number of auxiliary primes in the form N * p + 1 such that the set of non-zero p-th power residues of x to the p mod N * p +1 does not contain any consecutive integers. Her end game was to prove that every odd prime p has infinitely many auxiliary primes satisfying the p-th power residue condition. Germain found her problem as she was unable to prove the existence of infinitely many auxiliary prime exponents. If she succeeded than it would mean that the numbers in Fermat’s Last Theorem would have infinitely many divisors. The longer this problem went unsolved the more important it became. So important that it drove some mathematicians mad with obsession. In 1856, a man by the name of Paul Wolfskehl was so entranced by it he put up a prize of over 100,000 German marks for the person who was able to give a rigorous proof of FLT. The age of computers came around after WW2 and Alan Turing inventions, and with that came the incredible system of automatic computation. This didn’t give a rigorous proof, but it did prove that for a certain subset of real numbers FLT holds true. Raising the value of n = 25000 showed that FLT held true for those exponents, but as Professor John Conway(bearded man from the video) said “You are still infinitely many away”. This is the lesson that carried over from Euler. Y^2 = (x + a)(x + b)(x + c) where a, b, & c can be any whole number not zero. To modular forms, which are highly symmetrical functions. A summary of their conjecture was that between these two different areas of mathematics that it seemed that the solutions for any one of the infinite numbers of elliptic curves could be derived from one of the other infinite number of modular forms. To put it simply, each elliptic curve has a modular form. This was known as the Shimura-Taniyama conjecture. It wasn’t until 1986 that CAL Berkley’s own Kenneth A. Ribet pieced it together and used this unproven conjecture to link the Shimura-Taniyama conjecture to Fermat’s Last Theorem. He stated that if there were a solution to Fermat’s equation would mean that elliptic curves could not be modular, and thus the Shimura-Taniyama conjecture is false. This is where Andrew Wiles comes in. Backtracking, Ribet’s conjecture means that if you prove the Shumura-Taniyama conjecture then you could have a rigorous proof that Fermat’s Last Theorem was true. But keep in mind that this conjecture had yet to be proven since its creation in the 1950’s. When Andrew Wiles learned of this conjecture he would then drop all of his previous work and work for 7 years in almost complete isolation to find a proof. He had to prove a conjecture that covered and infinite series of elliptic curves, and he employed a very new strategy from number theory modeling a toppling domino affect. Meaning, he couldn’t prove all of the Shimura-Taniyama conjecture as one grand proof but rather if he could prove that each one was true and could ensure the one after could also be true than he would by induction, prove the conjecture. This idea was presented around the nation at a conference in Cambridge and people rejoiced that he really did prove the theorem. But he could not really guarantee his domino theory to prove always correct. 2 years later Wiles had won the Wolfskehl Prize and took home his 2 million dollar reward. But all of that was little to Andrew, because he had the accomplishment of a childhood dream and the feeling of success after the culmination of a decade of effort. So what did Fermat have? Skeptics believe that Fermat had a slip-up in his long great career and only made a flawed proof. Other people think that he did have a proof only based on 17th century techniques and so witty and cunning that no other person could create it. Copyright C. J. Mozzochi, Princeton N.J.
-Nova: Video watched in class giving interviews with Sir Andrew Wiles and Shimura. -Barry Taylor: Rough outline of the TimeLine of FLT. This entry was posted in Big Problems and tagged Fermat's Last Theorem on April 11, 2015 by bnagel25. 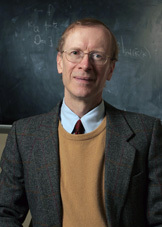 Andrew Wiles. Image: Denise Applewhite, Princeton University Office of Communications. In class, we have talked about the importance of context. We cannot simply look at the mathematics of an ancient document to understand what its purpose is. We must also look into the time period, the background, the situation, the author and the many other facts of the culture to be able to understand the true importance of the document presented. This is easily understood when talking about ancient documents, but often seems to be lost when talking about current proofs. That’s why I decided to look into who Andrew Wiles really is. 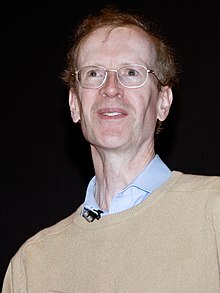 Andrew Wiles was born on April 11, 1953 in Cambridge, England. His father was Maurice Frank Wiles, a Regius Professor of Divinity at the University of Oxford. When Andrew was born, his father was also Chaplain at Ridley Hall, Cambridge. A Regius Professor (because I didn’t know either) is a very prestigious level of professorship given within British universities specifically by a British monarch. They can be appointed in various fields, but must go through a rigid interview process with both the university and the national government. Andrew Wiles’ mother was Patricia Wiles. I tried to find more information on her, but couldn’t find any specifics. I also couldn’t find any information on whether he had siblings or not. Andrew grew up with a deep love of Mathematics. In an interview with Nova he said, “I loved doing problems in school. I’d take them home and make up new ones of my own.” Talk about an ambitious kid. At the age of 10, Andrew found a book that would anchor the next 40 years of his life. He was one day wandering through the math books at the library and happened upon a book that explained Fermat’s last theorem. Of this experience he says, “This problem had been unsolved by mathematicians for 300 years. It looked so simple, and yet all the great mathematicians in history couldn’t solve it. Here was a problem, that I, a 10 year old, could understand, and I knew from that moment that I would never let it go. I had to solve it.” During his teens and college, he tried many different ways to solve this problem but to no avail. When Andrew became a researcher, he put his dream of solving Fermat’s Last Theorem on the shelf and began to focus on other things. Andrew got his bachelor’s degree in (of course) mathematics in 1974 from Merton College, Oxford. He went on to get his PHD in 1980 from Clare College, Cambridge. He then taught at the Institute for Advanced Study in New Jersey, Princeton, the Institut des Hautes Études Scientifiques and the École Normale Supérieure in Paris. From 1988 to 1990, Andrew taught at Oxford and then went to Princeton. It’s just before Andrew went to Oxford that things began to get interesting. In 1986, Andrew heard of the link between the Taniyama-Shimura conjecture and Fermat’s Last Theorem. He says, “I knew that moment that the course of my life was changing because this meant that to prove Fermat’s Last Theorem all I had to do was to prove the Taniyama-Shimura conjecture. It meant that my childhood dream was now a respectable thing to work on. I just knew that I could never let that go.” At this point, Andrew kept himself in isolation. He told no one else of his work and day after day continued to try and prove the Taniyama-Shimura conjecture. During this time, he married Nada Canaan. And even with her, he told her nothing of his work with Fermat until they were on their honeymoon. She had heard of Fermat’s last theorem, but had no idea of its importance, especially for Andrew. I can imagine that would have been an interesting conversation at that time. Finally, in 1993, he found the crucial breakthrough. A single line caught his eye, and he knew that it was the key for his proof. Though unknown to him at the time, his proof did contain an error. It took another year of close examination to correct that error and then finally, it was complete. 357 years after Pierre de Fermat had stated his original frustrating comment in the margin of Arithmetica, his great proof had finally been completed. Andrew’s name quickly gained popularity within the mathematical community. But it is intriguing to think of his addition to the mathematical world in a wider viewpoint. As we look at his life and his work, will they be preserved one hundred, one thousand or even a hundred thousand years from now? Will we remember his name and why he was important? Now that Fermat’s theorem has been proved and is no longer an active query, will we eventually forget why he was important and what Andrew Wiles did for us? This is a concept that we have discussed in the viewpoint of the Rhind Papyrus and Plimpton 322. Through the years, we have lost the history behind these items; the understanding of why they were written and what purpose they served. With the better documentation of today’s time, will we be able to access these facts on Wiles’ proof years down the road or will culture itself deem them unimportant and forget them? It is important to preserve the history of mathematics now so that generations afterward can learn from the findings of today. In Star Trek: The Next Generation (as Andrew was working on his proof), they stated the Fermat’s Last Theorem was still yet unproved. In Star Trek: Deep Space Nine, they correct themselves and mention Andrew’s proof. Both Tom Lehrer and BATS have written songs about Andrew’s proof. By the way, it’s hilarious. Daniel Keane (who plays Andrew) meets Fermat and goes to the “Aftermath” to meet Gauss, Euclid and Newton. This entry was posted in Numbers and tagged Andrew Wiles, Fermat's Last Theorem on April 5, 2015 by shannahthorne. The origin of Fermat’s Last Theorem by Fermat himself, which is clearly not written in English, found in a comment made in Diophantus’ Arithmetica. In 1637, Pierre de Fermat made his infamous claim that the equation an+bn=cn, where a, b, and c are positive integers, cannot be satisfied for any integer n that is greater than 2. While this equation may look familiar from the Pythagorean Theorem, where a2+b2=c2, when those powers of 2’s are changed to 3’s, or any other value greater than 2 for that matter, there are no possible solutions with positive integers for a, b, and c. While Fermat claimed to have a proof that was too large to fit the margin, it is highly unlikely since the math needed to prove this theorem, or at least for this particular proof, as discovered in 1994 by Andrew Wiles, was not even known until centuries later. So how did this visually simple yet mathematically rigorous conjecture get proved over the course of 300 years? Well, it begins with elliptic curves and modular forms. Elliptic Curves, as the MIT open course on such curves describes, “… are algebraic curves with the remarkable property that the set of points on the curve can be given the structure of an abelian group.” An abelian group is a group which commutes, that being ab=ba, where a and b are elements of said group. Anyway, elliptic curves, surprisingly enough, made their mathematical debut in Diophantus’ Arithmetica. These curves take the form y2=x3+ax+b, where a and b are rational numbers and the equation x3+ax+b has roots which are distinct. An important idea to note about these seemingly accidental functions is that they do not seem to have anything in common or relating to elliptic curves. Well, until Yukata Taniyama had something to say about it at least. In 1956, Taniyama paved the way for his, as well as Goro Shimura’s, conjecture, which is creatively named the Taniyama-Shimura conjecture. This conjecture stated that rational elliptic curves are related to modular forms. Somehow these two seemingly two completely unrelated mathematical things are actually related to one another. While the 1956 Taniyama conjecture was not fully correct, as some errors were still in the conjecture, it was worked on by mathematicians such as Gerhard Frey, Ken Ribet, Jean-Pierre Serre, and Andre Weil over the course of four decades to get to the point where there was incredibly strong evidence pointing to its truth. It took until 2001 for the full modularity theorem to be proved, which as I stated previously is just elliptic curves under rational numbers relation to modular forms. The modularity theorem is the proof that finally proved the Taniyama-Shimura conjecture. Meanwhile for Wiles this connection was the key for his proof of Fermat’s Last Theorem. However, Wiles only needed the modularity theorem for semistable elliptic curves, which would be sufficient for him to prove Fermat’s Last Theorem. In 1985, Gerhard Frey, a German mathematician, came up with the Frey curve which takes the form y2=x(x-al)(x+bl), or its equivalent y2=x(x-al)(x-cl). If this looks familiar in the least to Fermat’s Last Theorem it should, because this curve can be associated with a possible (hypothetical) solution of Fermat’s equation taking the form this time al+bl=cl, in the cases where l is prime. Back in the 1960’s Yves Hellegouarch originated the idea of associating Fermat’s equation with elliptic curves. Frey helped bring this to fruition with his Frey curves. If true, this would lead as a counterexample for Fermat’s Last Theorem, since a curve like this would not be modular, but if elliptic curves in reality are modular, Fermat’s Last Theorem would hold. Jean-Pierre Serre, a French mathematician, believed Frey curves could not be modular, which like I just mentioned are a counterexample, letting the Taniyama-Shimura conjecture work with Fermat’s Last Theorem. However, Serre did not fully prove his idea, rather moving on to his own conjecture, Serre’s Conjecture, which would “imply Taniyama-Shimura conjecture,” which is separate from his original counterexample. However the missing part of his original proof was vital for Wiles’ proof and needed to be proved for any Wiles to progress. He needed to prove the epsilon conjecture to prove Fermat’s Last Theorem. While you may be completely lost in the math and terminology, an appreciation for the amount of effort not only Wiles but all the other mathematicians who paved the way for Wiles’ connections within his proof is one of the truly magical things about this proof. It feels like the Odyssey of math proofs; if Homer could create an epic based on a math proof this would certainly be it. So at this point in time, the point at which the epsilon conjecture needed to be proved, University of California Berkley’s mathematics professor Ken Ribet made a huge stride in the metaphorical final turn of Wiles proof. Ribet proved the epsilon conjecture, proving that Fermat’s Last Theorem would follow from the Taniyama-Shimura conjecture. All that was left was to prove that the Taniyama-Shimura conjecture held up, and Wiles’ proof was next to done. Well, when I said Wiles’ proof was at its final turn, I may have jumped the gun (that’s two race analogies if you are counting!) The Taniyama-Shimura conjecture was seen as impossible to prove at the time, Ken Ribet even saying he was, “one of the vast majority who believed (it) was completely inaccessible.” Basically, the math just was not there. Sorry Wiles, better luck in the next life! Wiles, however, was determined to finish this mammoth of a proof. While it seemed impossible, Wiles was able to get a second wind (that’s three, I can do this all day) and proved the Taniyama-Shimura conjecture. After writing 150 pages of the final proof, proving a theorem that was supposedly impossible for the time since the math was beyond the current knowledge, as well as countless (you can actually count them) years spent by other mathematicians creating the theorems and conjectures needed for the intermediate connections in the proof, Wiles proved that when an+bn=cn, with a, b, and c being positive integers, no solution can be found when n is greater than 2. This entry was posted in Big Problems and tagged Andrew Wiles, Fermat's Last Theorem on April 3, 2015 by blackirish05. 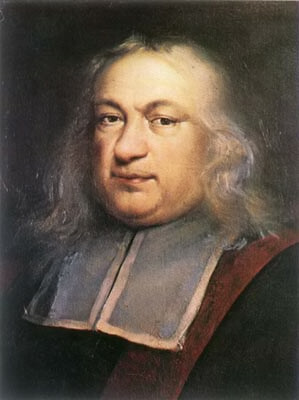 Pierre de Fermat. Image: public domain, via Wikimedia Commons. Every mathematician, or student of the subject, has heard of Pierre de Fermat’s last theorem, but surely such a talented mathematician has more to show for himself than a proof that he didn’t share with anyone. Fermat’s life and personality is interesting in and of itself, so while this written analysis is primarily a recognition of his other accomplishments, it can only be made more interesting by mixing in background on who Fermat was. While his other contributions to mathematics may not satisfy humanity’s craving for drama, Fermat did contribute more to mathematics than his most famous challenge. Fermat was heavily influenced by François Viète, a French mathematician and lawyer. Fermat’s methodology in mathematics is described as classical Greek with apparent influence from Viète, and because his methodology consists of sending theorems to his buddies via letter with little to no proof attached, one could only assume the Greeks are responsible for his desire for arrogant competition, and the tender romanticism of the now lost art of letter-writing came from France. Although Fermat claimed that the proof for all his theorems was in the pudding, no one can find the pudding. Other credible mathematicians such as Karl Gauss had their doubts, but there is something particularly entertaining about a man flaunting claims in his peer’s faces and challenging them to prove something that he may or may not have. It’s a little suspicious, did he prove his theorems and simply enjoy rubbing his friend’s inability to in their faces? Well he was a lawyer so it’s possible. Did he trick (or inspire depending on how positively you like to think) other mathematicians into proving things that he couldn’t? Fermat Invented analytic Geometry and contributed to the development of Calculus inspiring other magnificent minds such as Isaac Newton. In fact Newton admitted that some of his early ideas came from “Fermat’s way of drawing tangents” (Pierre De Fermat, Wikipedia). A manuscript of Fermat’s was published in about 1679 in Varia Opera Mathematica (Pierre De Fermat, Wikipedia. The title of his is manuscript “Ad Locos Planos et Solidos Isagoge” which is Latin, one of many languages that Fermat was conversant in including Greek, Italian and Spanish. If you translate that to English it reads an introduction to plane solid loci. The text can be more specifically interpreted as a classification of curves as: plane, solid or linear. Plane curves being straight lines and circles, solid curves being ellipses, parabolas and hyperbolas and linear curves being described kinematically with some sort of condition (Ad Locos Planos Et Solidos Isagoge). Moving on to differential calculus, Fermat developed a technique known as adequality that he used for determining maxima, minima and tangents to a curve. Adequality can be defined as approximately equal and is denoted with the ‘~’ symbol (Adequality, Wikipedia). Basically Fermat would compare a function, say f(x), to something approximately the same, say f(x+Ɛ). He’d set them equal to each other which is of course risky and Fermat was likely under oath, so it must be the case that he was being meticulously careful not to be held in contempt of the court when he decided to instead set them adequal. Then by canceling out like terms, dividing by Ɛ and “solving for x” he’d derive his value for a maxima or minima. The Fundamental Theorem in Calculus is arguably one of the most important concepts in mathematics and Fermat had a hand in inspiring it. By evaluating the integral of general power functions Fermat produced a formula that ended up being useful to Newton when he developed the fundamental theorem of calculus. Fermat evaluated such integrals by reducing them to a sum of geometric series. In 1654 Fermat teams up with Blaise Pascal. Fermat and Pascal collaborated on a classical probability problem known as the problem of points. The problem is a game of sorts. It has two players. Each player has equal chance to win each round. There is a prize pot and the players agree that a particular number of round wins leads to total victory. The game is interrupted and of course that leaves the question of who gets what amount of the prize. The concept of a “fair” division must be established based on how many rounds each player has won so far and the probability that that player was going to win the overall pot. Fermat figured out how many possibilities were left based on how many rounds were left and charted these possibilities then based his “fair” division in proportion to the probability of these possibilities. Fermat’s solution was inefficient and inaccurate as the number of rounds left gets large and so Pascal made some big improvements on it. Nonetheless this collaboration earned Fermat and Pascal the title of founders of probability theory on the grounds that this game laid the groundwork for probability theory (Pierre De Fermat, Wikipedia). Yes Fermat’s Last Theorem is his most notable and interesting accomplishment, but Fermat contributed much more to the world of mathematics than this. He inspired other great minds with his own work, irritated others with his arrogance and sass, and helped laid the ground work for some of the biggest mathematical concepts by getting his hands dirty with proofs. Even though his pudding will likely never be found, his proofs/challenges (or lack thereof) inspired or tricked other mathematicians into some of the greatest discoveries in mathematics and some less magnificent discoveries as well. Pierre de Fermat – his last challenge (Fermat Quotes, Rugusavay). “Ad Locos Planos Et Solidos Isagoge | Work by Fermat.” Encyclopedia Britannica Online. Encyclopedia Britannica, n.d. Web. 13 Feb. 2015. “Pierre De Fermat.” Wikipedia. Wikimedia Foundation, n.d. Web. 13 Feb. 2015. “Adequality.” Wikipedia. Wikimedia Foundation, n.d. Web. 13 Feb. 2015. “Pierre De Fermat Quotes.” Rugusavay. N.p., n.d. Web. 13 Feb. 2015. This entry was posted in Numbers and tagged Fermat, Fermat's Last Theorem on March 2, 2015 by maw3010. 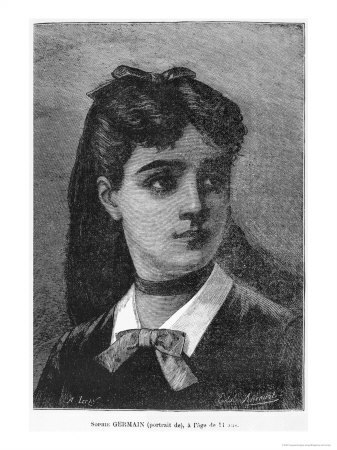 Caption: Marie-Sophie Germain. Image: Public domain, via Wikimedia Commons. As many would know– or should know– successful females throughout history have either been scorned, ignored, or referred to briefly from a footnote. As discouraging as that is, many future generations have used that as motivation to make greater accomplishments in areas that traditionally were not open to them. Why, Elizabeth I made England one of the most powerful nations in Europe, Marie Curie discovered Radium and Polonium, and the great Marie-Sophie Germain pioneered elasticity theory. Fermat’s Last Theorem. Image: Phuong Trinh, via Wikimedia Commons. Germain had intended on proving many cases of FLT all at once rather than working through each one individually. Of course, this was not a very successful attempt, but her work helped support future generations with their studies on FLT. Germain’s journey into the world of number theory started with a letter to polynomials and transformation master Adrien-Marie Legendre, when his work Essai sur la théorie des nombres (Essay on Number Theory) was published. In short, they became pen pals and corresponded with each other for many years regarding number theory and eventually elasticity. Legendre was even generous enough to add Germain to a magnificent and grand footnote in his treatise on number theory. And why would he do such a thing? Well, Germain’s unpublished manuscript called Remarque sur l’impossibilité de satisfaire en nombres entiers a l’équation xp + yp = zp, which argued that counterexamples for FLT for p > 5 would need to be numbers nearly 40 digits long, was so brilliant that Legendre used it to prove FLT for p = 5. Afterwards, Germain sent a paper on analysis to the magnificent J. L. Lagrange (one of the big daddies of analysis, number theory, and classical and celestial mechanics) as “Monsieur Antoine-Auguste Le Blanc” and impressed him so much that he became a mentor and supporter of her work, even after Germain confessed to him that she was a woman and it was she who was using the name of a former male student of his to correspond with him. This was also the same with Carl Friedrich Gauss– math guru in number theory, statistics, algebra, matrix theory, differential geometry, optics, analysis, electrostatistics, geodesy, astronomy, and geophysics (phew!). She wrote to him using “Le Blanc” again to discuss number theory, which she studied thoroughly in Gauss’s Disquisitiones Arithmeticae and offered her own work on the theorems listed. Despite her work not having the proper structure that normally would have been apparent from a formal education, Gauss had used Germain’s ideas and proofs for FLT. One of Germain’s unsupported proofs was for the case n = p, with p being a prime number with the form p = 8k + 7. Gauss would provide counterexamples to some of Germain’s proofs as the years went on. Their correspondence would later end due to Gauss no longer expressing any interest in number theory. He moved on to other mathematical fields. If was from there that Germain went on her own tangent. Starting in 1809, she began her work on elasticity, specifically with the theory of vibrating elastic surfaces using vibrating metal plates. The Paris Academy of Sciences was having a contest to elaborate E. F. F. Chladni’s study on the subject, and Germain was the only contestant. Well, thanks to the lack of formal education she did not receive the prize due to unsupported work. But the judges thought her results were impressive, so you could say she got the equivalent of a participation sticker. If there’s ever a time to be grateful for a teenage rebellion that resulted in a lifelong pen pal, it was right and there. Lagrange had helped correct Germain’s mistakes, and before long she entered the contest again in 1813. Oh but wait, that whole informal education worked its magic again and she didn’t win again. But this time, she had an honorable mention only because her work had taken an approach that wasn’t derived from physics. And also because there were still several mistakes in her calculations. But hey, third time’s the charm right? The year of 1816 was Germain’s time to shine when she finally won and had her work once again criticized for not completely resulting in what was expected. Ah, c’est la vie. Although her work was not fully supported, it would later become the critical stepping stone for future generations who aimed to significantly improve her work. Now all that was left was to be accepted into society as an educated woman to extend on the topic she had been working on for the past 16 years and become a renowned mathematician for years to come. Yeah. It’d still take a century or two for that to happen. So why aren’t we teaching our kids about Miss Marie-Sophie Germain or any of her work in schools? It’s only number theory and advanced mathematics. Germain started in 1789 when she was 13 and studied differential calculus so much that her parents found her incurable of her newfound disease. She went through her teenage rebellion in 1794 at the age of 18 when she began to make friends with students at the male-only Ecole Polytechnique and took their lecture notes to study. Did I mention that the majority of Europe at the time did not accept women into colleges? The only exceptions were the wealthy upper class women, only so that they could have more ice breakers when gathering at social functions. Germain, however, was only a middle class maiden who was pushed from exploring her interests. She continued to do what she could outside of the education system. As time went on, Germain continued to be excluded from any sort of research related to mathematics. Any work she did submit to educational institutions were not treated “as a man’s”. Germain’s essays weren’t formally rejected, which meant they actually were rejected but in a very rude way. The logic at the time for that was if the institution sent a letter of rejection to her, they would technically be acknowledging a woman’s work, thus making her work equivalent to a male’s. They didn’t want to portray that to Germain or to anyone, because– you know– that just wasn’t acceptable in the 18th century. This didn’t deter her though. She continued for the rest of her life working on elasticity and math theory, along with philosophy and psychology. Germain would later die from breast cancer, after submitting a paper to Crelle’s Journal in 1831 explaining elastic surfaces and their curvature. Though this seems anything but the happy ending Germain expected, her life’s work greatly improved the world of math. And not only that, her presence in education during the 18th century demonstrated that the difficulties women have in pursuing math and science were meant to be respected, not ostracized. Gauss became one of the supporters for women’s social justice after he had found out Germain was a woman. He recommended Germain to receive an honorary degree in mathematics before her death, and had exposed the unfair treatment European women faced in education and in social settings. This entry was posted in European mathematics, Women in math and tagged Fermat's Last Theorem, Sophie Germain on February 19, 2015 by redpandaoverlord. Leonard Euler. Image: public domain, via Wikimedia Commons. Leonhard Euler was born in 1707 in Basel, Switzerland, and died in 1783. Over the course of his life he published many articles, some related to fields such as physics and astronomy, but many in the field of mathematics. In mathematics, three contributions he made are Euler’s Identity, his work on Fermat’s Last Theorem, and his solution to the Basel problem. Euler’s Identity is part of the mathematical field of Complex Analysis, which involves the application of various mathematical concepts for complex numbers a + bi, where i = √-1. Fermat’s Last Theorem is part of number theory, a field focused on the relationships between numbers, but primarily the integers. The Basel Problem involves summations, an important part of Calculus where it is used to solve difficult integrals, as well as other areas of Mathematics. One of Euler’s more profound equations is Euler’s Identity, which states that eiΠ +1 = 0. This is a special case of Euler’s formula, which shows that eix = cos(x) + isin(x). Therefore, in the case of Euler’s Identity, x = Π, so eiΠ = cos(Π) + isin(Π) = -1 + i(0) = -1. By adding 1 to both sides, the standard result of eiΠ +1 = 0 becomes apparent. This Identity has been considered by many to be “remarkable” and “among the most beautiful formulas in mathematics” for a variety of reasons. First, it includes both the number one and the number zero, the multiplicative and additive identities. Furthermore, it involves the constant Π, the most fundamental constant in geometry, and e, also known as Euler’s number, which is the base of the natural logarithm and can be used in many real world applications. Finally, there is i, the fundamental imaginary unit equal to the square root of negative one. Euler also worked on Fermat’s Last Theorem. The theorem states that for the equation xn + yn = zn, there are no non-zero integer solutions for n equal to any value greater than two. Euler, in a letter to his friend Christian Goldbach, claimed to have a proof of the theorem for the case where n is equal to three. However, part of his proof was incorrect. He relied upon proving that for any numbers p and q where p2 + 3q2 is a cube, there exist numbers a and b where p2 + 3q2 = (a2 + 3b2)3. He incorrectly attempted to prove this using imaginary numbers, and as such invalidated his proof. Despite this, it could still be argued that he proved the case where n equals three as other mathematicians have used some of his other works to correct his mistakes. Additionally, Euler also proved the case of Fermat’s Last Theorem where n is equal to four. The Basel problem is finding ∑n=1∞1⁄n2. Pietro Mengoli, an Italian priest, originally constructed the problem in 1644; in later years, both Jakob Bernoulli and Gottfried Leibniz, two prominent mathematicians of the time, were unable to solve it. This led to the Basel problem becoming a sort of challenge for mathematicians at the time. It is unknown when Euler first began work on the Basel problem; however, in 1731, he calculated an approximation of the first one thousand terms 1⁄12 + 1⁄22 + 1⁄32 + … + 1⁄10002. However, we have learned that his approximation of 1.64393 is only accurate to the first two decimal places. Euler continued to develop more and more accurate approximations, eventually ending up with the approximation 1.644934, which is accurate to six decimal places. In 1734, Euler published his first proof that the Basel problem was in fact equal to Π2⁄6, which he had previously noticed was approximately equal to 1.644934, his most accurate approximation for the Basel problem. However, he made many logical pitfalls in this intial proof, lending it to the criticism of Daniel Bernoulli, a mathematician and one of his contemporaries. In 1741, Euler had completed his final proof, which remedied the problems of the first. I will now show how Euler proved this, using a result from an earlier proof that Π2⁄8 = 1 + 1⁄9 + 1⁄25 + 1⁄49 + …, which is required for this proof to be valid. The Basel problem is a special case of the p-series ∑n=1∞1⁄np where p = 2. While we now know that the series diverges for p less than or equal to 1 and converges for p greater than 1. Euler worked on the p = 3 case, but his brute force approximations (as initially used in the Basel problem) did not yield any values he recognized. In 1978, it was proven that the number the p=3 case converges to is irrational, but nothing is known about the odd values of p greater than 3. These are but three of Leonhard Euler’s many contributions in the field of Mathematics. I wrote about these three because I find all of them to be very interesting. Euler’s Identity, of course, has the many mathematical constants, and it amazes me how so many can be related in one equation. Fermat’s Last Theorem is perhaps the most infamous problem in Number Theory, as Fermat scribbled it in the margin of a journal, claiming to have an incredible proof but it would not fit in the margin. And The Basel Problem is the only p-series where the exact sum of the series is known. This entry was posted in European mathematics and tagged Euler, Fermat's Last Theorem, Number Theory on October 5, 2014 by hereticalinfidel.